I really want to "lose" the weight but afraid of failing once again. Like many I am sure, I have lost weight on my own, only to regain it. I have "seen" individuals use these surgeries as a "tool" only to gain a lot if not all or more of the weight back. I am worried that will be me. I am a food addict. I eat when I am not hungry, or at least until I am stuffed. I am thinking the sleeve would be best, but I need more insight I guess. I was to have RNY about 10 years ago and insurance wouldn't pay and I was actually glad, but still here I am. I am scared it won't work and probably a little scared it will, if that makes sense. Clearly, I mostly want it to work, but don't want to sabatoge it either. I don't want to eat when I am not hungry, stretch the pouch, hurt myself, etc. What happens in six months, a year, 6 years after the "new" wears off? Maybe with the sleeve, it doesn't, hopefully I CAN'T eat, stretch stomach etc. and then I will just have to "grieve" the "loss" of food. Since I am clearly in a love relationship with it. Even though it's killing me of course. Like once it's done, they can't reverse it. Who in their right mind would want to reverse it and gain weight back??? Would love some insight if you have the time. I haven't met w/a doc yet, and who knows how to pick the best doc and I want a clinic that offers great after care support. Some of them here do not. You are not insane! I struggle everyday with my loss of food... since surgery I have been in mourning I lost the one thing that brought me comfort but I do know it will be worth it and I will overcome this. Good Luck! I think we all feel the same way! I too worry that I wont be strong enough to keep it off. What I can tell you is the more you go through the process the more sure you become that you can do it. I am about 3 weeks away from surgery and I have to tell you I am more ready than I have ever been. Be sure to read the personal stories on here. I have been reading everything I can get my hands on and it helps! Good luck and I hope you are able to come to a decision! I am 6 weeks out and find I no longer reach for food for comfort. One bought of overeating and that stuffed feeling was enough to never want to feel it again. I haven't experienced dumping syndrome yet but I never want to so sweets don't even appeal to me. Yes I had my doubts and concerns before surgery, and I know at least one person who had the surgery and didn't comply and has gained all the weight back. But keep a positive attitude and practice your new lifestyle one day at a time and you will do great! Its like I am reading my thoughts before I had the surgery. Its as if I wrote this 10 months ago. BUT being almost 10 months post op and 119 lbs lost with very little bumps along the way, I can tell you I am happy with my decision. I am doing things I could never have done before...going to the gym, playing with my 4 year old, did I mention-enjoying the gym!, finding new ways to eat healthier and healthier. Replacing bad habits with good habits. Replacing weakness and no discipline with rules and support groups/support. for the first time in years I can see my goal weight may be attainable! I am so happy butI know that this is the easy part. Staying at goal and keeping up the motivation is the hard part but I am still so much healthier and have a chance. Am I afraid of failure? Yes but that fear gives us the best chance of succeeding. We have to be vigilent against bad habits, follow the rules and stay on track. 10 months ago, I had no chance at success. I am starting to believe I can do it! Your thoughts are natural for someone about to go thru this. As far as picking a Dr I would ask your PCP if they reommend someone I was lucky and mine recommended the one she wanted me to go to and she sent me with all the paperwork I would need so from my first apt with the surgeon till the date of surgery was only 4 mnths but I think that all helped me get in faster. If your PCP does not know any surgeon I would do research on the internet for surgeons in your area if you research enough you'll find the answers you want sooner or latter. Good luck! When I underwent gastric bypass two years ago, I wasn't in touch with the fact that I was a food addict and had issues with eating. All I knew is that I wanted to lose my excess weight. It was frustrating beyond belief for me to try and lose weight and never find success preoperatively. Luckily, I was able to maintain that tunnel vision through the active weight loss phase and dropped a considerable amount of weight; however, I struggled with it every single day. And I still do. I don't have issues with dumping. I can eat anything and everything...and in any amounts I want...without ill effect. It's scary to me that my pouch does nothing for me in terms of limiting what I eat. A lot of times, I feel like I am back at square one with what I need to be successful at being healthy -- will power! Am I successful every single minute of every single day? No. But now that I've lost a considerable amount of weight, I find it easier to say no. I've seen the effects of adding in too many carbs (fruit of all things!) because my weight increased by 10 pounds. When I reduced my carb intake, those pounds fell off. I won't lie to you, I hate the fact that I eat such limited items of food. I hate that I can't enjoy a pop here or there. I hate having to say no to sweets, chips, pizza, and sphaghetti (this is the only food that makes me feel "full" after a bite or two; it just sits heavy in my pouch). However, I LOVE slipping into my size 4 jeans! I LOVE trying on clothes and having them look good on me. I LOVE having a normal blood pressure, normal cholesterol levels, and normal blood work overall. I LOVE knowing that I can keep up with my three young children. I LOVE that I smile when I look in a mirror. If you give this a chance and you simply follow the surgeon and dietitian's plan, the weight will come off. The rest of the work is up to you. I've fought this entire process, but honestly, it's mainly because I didn't know how to be or think healthy. I had to be taught these things. It's been a lot of trial and error on my part, but I'm proud of where I am at today. It's still not easy, but let me tell you...it is SO worth it! I am only post op 9 weeks and just as Martee said, it is not easy, but very worth it. I wasted alot of years trying to do it without this tool, my sleeve. I was obese my entire adult life and for the first time in my memory, food does not control me. This tool is to be used in combination of your other tools...exercise, water, vitamins, keeping track of your food intake, mental and emotional support. You like many of us, just have to come to one decision - how bad do you really want to change your lifestyle? Its just like learning to walk again, you just take one step at a time and live only for today. There's a LOT of good information in the above posts! Great job ladies! You can guess how I was pre-op just by reading my username. Food was my life. Now, food is a very small part of a most wonderful life!!! Yes, you must make the decision to be strong and stick with it. I love my sleeve, it gave me the control over my body while I was gaining control of my mind. Through hard work, dedication and perserverance, I have turned the corner and made serious lifestyle changes. I am no longer THAT guy anymore. I have good eating habits and eat 6 meals per day, all of which are planned (most of the time) and balanced. At over 1 yr out, I do get hungry now, but it is nothing like before and when I eat I am satisfied easily and go on living, not looking for something else to eat. The beauty of the sleeve is that everything works as it was intended. Food still moves through the stomach as always and stays with you longer than with GBP. You start out having to make better choices and soon it's second nature. I still track my food and it has become as much a part of my life as pigging out was before. This is a wonderful tool and life. Embrace it and make the most of it! make sure to go back over the above posts and absorb all the good advice! Good luck! I'm not too far out from surgery(4 weeks RNY,) but I absolutely understand all your concerns. I've been there. Mayo Clinic in Rochester, MN recommended I get the surgery two years ago, and I fought them the whole way. I was afraid of the same things you mentioned. Sure, it has been rough at times, but I wasn't able to hold myself accountable before. With the surgery I feel like I can. I have drs and nurses making sure that I do the right thing, and I have to be more responsible. Before I would say, "tonight is my last pizza night" until a week later I was eating it again. My own voice and promises were not enough to hold myself accountable. Honestly, I haven't craved fast food or junk for a bit now. Since all the foods are mushy for me at 4 weeks out, I've craved solids more than anything. I know it's a tough and very personal decision to make. Dont know if this helps at all, but I get what you're saying and this is fairly new for me so I'm learning, too(even post-op.) I wish you all the best! Dan, I am 3 1/2 weeks out from my vertical sleeve procedure. I realize that all surgeons have a different plan.....mine is very lenient. She told me on the first consult I had with her, that the sleeve was her preferred procedure. She told me that I could eat anything I wanted, I just would not be able to hold much of it. I know some will say that since I eat things that have carbs, I am not really following the plan, but I am following HER plan. She told me if I wanted fried foods, or sweets, it was fine because I wouldn't be able to hold enough to prevent me from losing weight, Dr. Husain said my the only restriction with the sleeve was the amount of food you can hold. Mac and cheese has always been my all-time fav food.....I had some this past week - I ate 2 bites and I was done. I can only hold 1/4 - 1/3 of a cup of food. It is working as I am down 27.5 lbs, and am only 24 days out. I NEVER get hungry. I eat 3 times a day because I am supposed to, but 5 bites totally fills me up completely. I used to think about food all the time....at night, I would think about what I was going to eat the next day. I don't obsess about it anymore. We have Kaiser so it was a long process for me, as they only have 2 bariatric surgeons and I live in a big city, so I was on a waiting list for a year. When my name came up, my first appt. was with a physcologist for a psych eval. Then I met with a nurse practitioner that same day. My insurance required a 2 month class, so I took that and as soon as that was completed, we could see the surgeon. I completed all my pre-requisites in June but put off surgery until Sept. as we had a trip to Hawaii planned for the first week of August and I wasn't sure I would be healed enough to travel by that point. I saw the surgeon the first time on August 29th and she asked me what date I wanted to have surgery. I chose Sept. 20th but could have gone the next week. The length of time for you will all depend on the requirements of your insurance company. I have a friend who had surgery last year, and her ins. only required 1 nutrition class and she went relatively quick. I have just started the process. I am going to a seminar tonight from one of the WLS clinics here in Dallas. There are several good ones to choose from so I'm lucky in that regard. I have a thyroid issue and my endocrinologist has already stated that wls will be the best way for me to loose the weight. I also have sleep apnea and a BMI of 49.6. 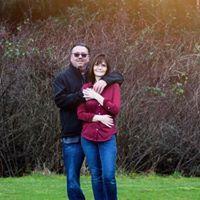 My wife had gastric bypass in 2004 so I have her to lean on when I have questions as well. Dan, Do some research on Ghrelin. It's a hormone that literally makes us feel like we're starving all the time. I'm not sure about the sleeve, but with the Roux en Y, it totally bypasses most of the Ghrelin and completely eliminates any hunger for quite some time. I'm 10 months out almost, and I still don't have any actual sensations of "hunger". It'll come back eventually, but nothing like it was before. Sometimes I would eat a big meal and an hour later think I was still hungry. It's insane. Now, I know I'm hungry by the way my body is responding, not because my tummy says, "feed me, Seymore!" Personally, I wish I'd had this done years ago because it's the best thing to ever happen to me. Within 9 months from surgery, I'm back at the weight I was in my 30's and soon will be where I was in my early 20's and it feels sooo amazingly good. This tool... there are no words for my gratitude for it. None. With the sleeve, the part of the stomach that the "hunger hormones" come from, is removed, so you don't get that hungry feeling. I don't know if that will come back after a certain amoount of time, but I am thinking probably not because when the surgeon showed me her pics and graphs, she said that as the outer part of the stomach was removed, where the hormones are released, that I would not experience hunger, so to be sure and eat 3 times a day. She didn't say anything about my ever experiencing them again. You're not insane! I was the same way sort of. I could eat a buffet and be starving like 10 minutes later. Food was my life. But with WLS you simply cannot ear near as much as pre-op. Trust me. I thought the same thing too...like after surgery I would be at McDonald's. Nope! Relax, keep a positive mental attitude, you will be successful. Small steps for a big change. Good luck! Everyone is so nice. THANK YOU! I just finished dinner, 20 buffalo wings and a whole medium pizza minus one piece. WHAT IS WRONG WITH ME! I know, I know, I am a food addict. But, I was eating the second to last piece and was like, Dan, you don't have to finish this, you can't still be hungry. In my head it was like, finish the piece you have, then eat the last piece and call it a night for food. Instead, I STOPPED eating and put the rest in the fridge. Thank God I thought about it. Part of me, most of me I think, wants never to eat like that AGAIN, the other part is afraid of how I will survive without food. OR, maybe, revelation I hope. I just fill up so much faster, I don't "need" to EAT like that? I hope, I hope, I hope. Because I am not sure that is actual hunger as much as it is compulsion. Know what I mean anyone? Well, Thank you again for the very warm welcome. Dan P.S. is it true, that if the gastric sleeve fails, then they can do the rny? You will not fail with the sleeve Dan. I know you are so overwhelmed and bombarded with anxiety, but believe me once you get the sleeve you'll be eating like a squirrel. You seem to have a lot of mind hunger which is 100% normal, but post-op you simply will not feel hungry or as hungry at all. I could finish a whole pizza myself pre-op and then some. Today, I can barely eat 1 slice...food for thought. Just be strong. Write down somewhere, "I CAN DO THIS!" and look at it everyday. You will be successful. Deep breaths! To put all this in perspective you will simply have to have the surgery and physically experience it, so in do time you will see all along what we've been babbling will be proven. Take care. I never feel hungry anymore. I have head hunger, but I NEVER have that grumble in my stomach. Does the doctor let you choose which procedure you want or do they recommend one? Obviously I am thinking the sleeve is the choice I would like, especially knowing if there is weight gain, they can then do the bypass. right? I don't know if you can convert from sleeve to RNY. I don't think I have heard of that happening. I was very scared to do this procedure and it was really tough in the beginning. However I can say that I am truly happy I made this decision now. You can do this. Use this web site to help yourself get support, follow the program and believe in yourself. My surgeon asked me what surgery I wanted. I think that if you have certain conditions or comorbidities they may recommend which one is best for you. I personally chose RNY because you lose the most weight in the long run. I think it was up near 80% in 3-5 years, vs. around 60% with the sleeve. But that is me. Do your research!